July 2017 – St. Anna Clinic in Lucerne, which belongs to the Hirslanden Group, the largest medical network in Switzerland, is planning to restructure and expand their already existing outpatient care services at its local branch clinic “St. Anna in the station” in Lucerne. The cantonal government recently published a list of treatments and interventions that should no longer be carried on an inpatient base in the future (i.e. procedures like pacemaker, cardiac catheter examinations, colorectal surgery etc.). Therefore much more outpatient patients and services will be expected in the future. However, the regulation is not the only reason for the planned redesign, but also the increasing number of patients within the last years. 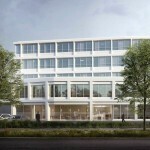 MMI Schweiz AG is responsible for the medical planning in this project. Krucker & Partner AG will be in charge of the interior design.